Bigfat’s hot sauces are all natural – made with fresh ingredients you can taste in every mouthful. High quality ingredients make high quality sauce and that’s what you get from them. They have a variety of great flavors backed and packed with just the right amount of heat. From beginner chilebaby to pro chilehead, they get your taste buds revved up and ready for more. 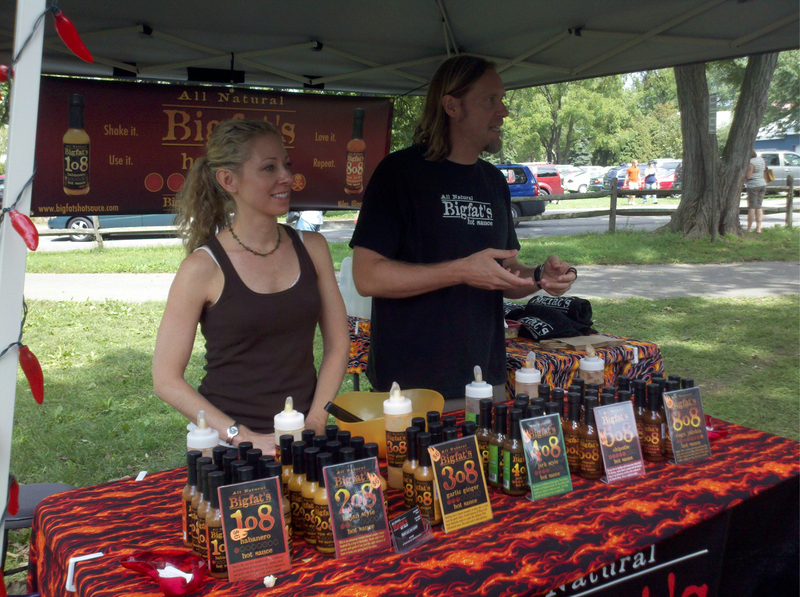 We first met Jeremy and Kat Walsh of BigfatsHotSauce.com at the Bowers, PA Pepperfestival in September of 2011. By then, they had moved to and back from Hawaii, crafted 6 of their soon to be 8 hot sauces, and were well underway to becoming a hit in the chilehead and hot sauce world.